Is it right that Foul eggs float? Steaks should be only flipped once? Coffee should be stored in the freezer? Kitchen lore are passed from generations to generations, and funny thing is we accept it without even questioning once. With advancement in technology some of these lore are considered as myths and some call them true. 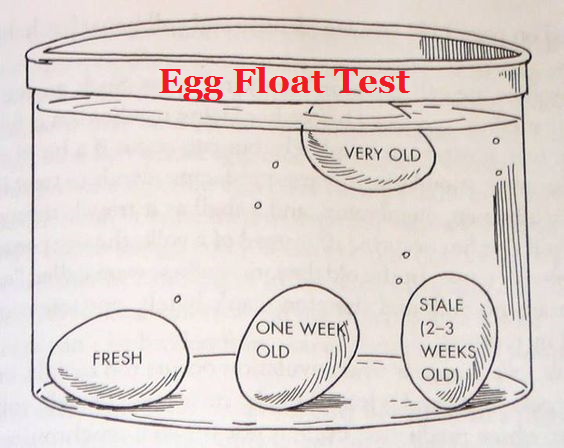 So today, I will unveil the actual truth behind the egg floating test myth. Not for the sake of writing but the truth for you guys I have performed egg float test. Why does an egg float? So have you guys ever wondered, what will actually happen to your health if you eat a foul egg? Well the answer is scarier than the question because eating bad eggs causes food poisoning. 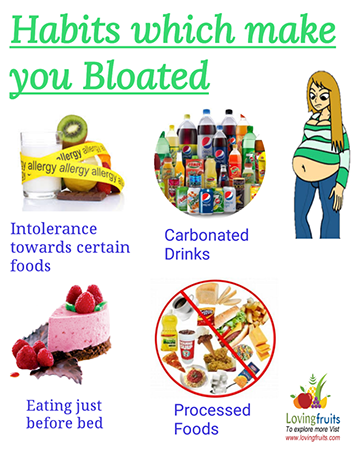 Your tummy will get queasy and loose stool movement. How to make sure I am not eating a bad egg? So many of you might raise the above written question. Of course, no one loves eating foul egg and visiting bathroom like crazy. So, do not worry as I promised earlier I know a way with which the eggs are easily tested. 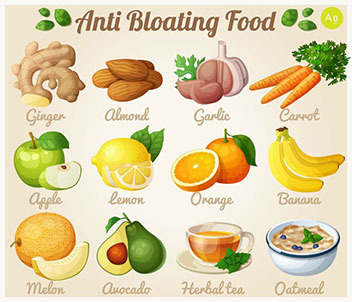 It may not sound big deal but it will help you in not getting sick. 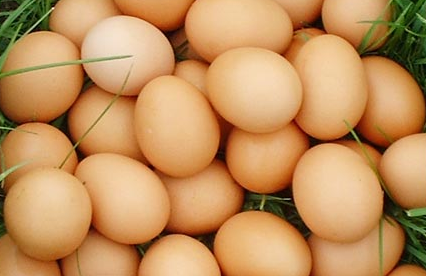 There is a floating eggs test which can help you big time in knowing when an egg has gone off in use above its shelf life. This test is a perfect answer to the questions how do you know when an egg has gone off. So this test tells a lot about the egg and its freshness. Ok let’s start what I actually did. I filled a bowl with cold water. And placed eggs in that bowel. I had no idea about the shelf life of those eggs. Result were amazingly good. Some eggs sank and laid on their sides. Some stood at one end at the bottom of the bowl. Some started floating on the surface. Eggs that sank and laid on their sides were fresh and ideal in nutrient content. The ones that float on the surface are very old and are not good enough to eat. Old eggs float in cold water because a large air cell form around the egg as it gets cold after being laid in water. The air starts getting into the eggs thus enlarging the air cell created before. This act is known as buoyancy laid. I totally enjoyed myself performing this floating egg experiment. Please do try this at home you will love this simple yet so fun experiment. After my successful egg medical test. Some of my friends raised the above quoted question and they also raised the fact that: why do we see floating eggs when boiling? All of us love hard boiled eggs and every dish they are use in. So, let’s check out if hard boiled eggs ever get bad or remain fine. Hard boiled eggs can also go foul and amazingly their shelf life is even shorter than the raw eggs. The reason behind is that boiling the eggs scrape off the protective layer around the shell of egg, thus making it vulnerable to bacteria and contamination. The shelf life of hard-boiled egg with shell is 7 days however; the shelf life of peeled hardboiled egg is only 5 days. The most noticeable sign of hard boiled eggs gone wrong is the bad smell. A bad egg will have rotten smell and you can sense it. 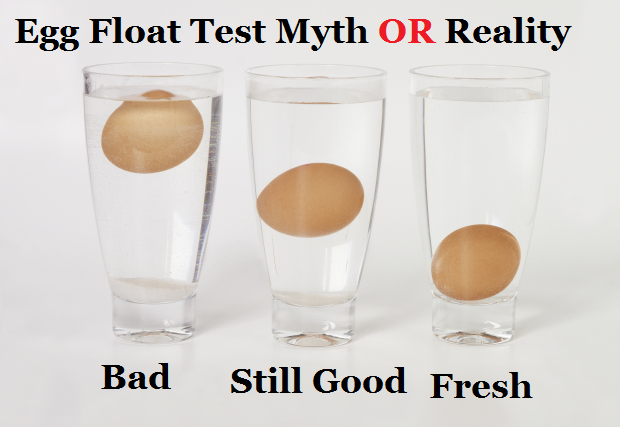 The egg float test myth is not a myth this egg float test Snopes is a 110% authentic. The results were accurate. When I checked the shelf life of the eggs I had performed experiment on, it told the same story as the experiment did. If you really want to check how fresh or foul your eggs are perform the above mentioned experiment. You will not rely on the mentioned expiration date on the eggs afterwards.